How much does it cost to sell your Mosman property? The buoyant market in Mosman makes 2019 an excellent time to sell your home. You are more than likely to make a healthy profit, particularly if you purchased over five years ago. While it is exciting to think of how much you can pocket, before you consider your next purchase you still need to keep in mind what it will cost you to sell. As the saying goes, you have to spend money to make money. When it comes to selling real estate, some expenses are unavoidable while others will help improve your property price. Here’s some information on the fees and cost of selling your Mosman property. Before you decide to sell, have your Mosman property valued. Often, you will find real estate agencies offer this for free as part of their service. An independent valuation may charge between $300 and $1000 dollars. It is recommended to have more than one person value your home when you are thinking of selling. Ask for detailed information on why they have come to their conclusion, including the specific features of your home that play in its favour, plus recent nearby sale prices. Your conveyancer is responsible for transferring the legal ownership of your Mosman property from you to the buyer, taking care of all the paperwork and letting you know where to sign. Your real estate agent should be able to recommend an efficient and professional local conveyancer, who will charge you around $2000 for their services. The cost of preparing your home for sale may be impacted by the state is it in. A picket fence with peeling paint and a broken gate will instantly be off-putting to buyers so it is in your best interests to organise some repairs. Unless you have done so recently, you should at least allow a few thousand dollars for cosmetic treatments like fresh paint, landscaping and a pressure wash for the front of your home and your driveway. You may also wish to have a building inspection prior to putting your home up for sale. This will cost between $500 and $1000 but can alert you to any issues that could impact the speed of your sale. A stylist will charge you prices starting from $2000 but this outlay can make a considerable difference to your final sale price. Stylists maximise your home’s appeal and use of space. A strategically placed mirror will make a room look larger, as will a smaller bed. Clever furniture placement can make a large room appear more functional and stylish decor makes the buyer instantly want to move in. Your stylist can also arrange to take away some of your furniture if you have too much or if it is very dated. They’ll store it safely while your sales campaign is underway. Photo and video marketing have the potential to add tens of thousands (and even more) to the final sale price of your Mosman property, drawing buyers in and creating a highly emotional connection. The more professional-looking your marketing, the more your property will stand out, so it is worth the investment. Your agent will also talk to you about allocating budget to signboards, copywriting, newspaper features and advertising on overseas property websites. They’ll let you know what they think is the right approach to attract the most motivated buyers. Selling at auction is a thrilling experience. Eager bidders may push the price of your home beyond what you may have been hoping for. In a suburb like Mosman, where there is high demand from local and overseas buyers, it makes a lot of sense to hold an auction. The expense will add around $500 – $1000 to your final bill but with the right auctioneer and real estate agent team you will find it is well worth it. Then there’s agent commission, which is often around the industry average of 2.2 per cent. In return for their commission, a good agent will work tirelessly to help prepare your home for sale and attract as many buyers as possible. They will also conduct intelligent negotiations on your behalf to ensure an outcome you are more than happy with. Agents bring their extensive local knowledge and real estate know-how to your campaign, providing support that will make the experience feel seamless. If you have used your property to live in and not profited from it, you should be exempt from capital gains tax. However, if it is an investment property you should seek advice about how much capital gains tax will be claimed when you sell. Unfortunately this can be significant so it is good to know ahead of time what the figure will be. As you can see, you’ll need to allocate budget for the sale of your home. However, strategic spending with guidance from a professional will provide return on investment and ample funds for your next move. As Principal of De Brennan Property, I'm proud to offer a bespoke real estate service for clients with properties located in and around Mosman. 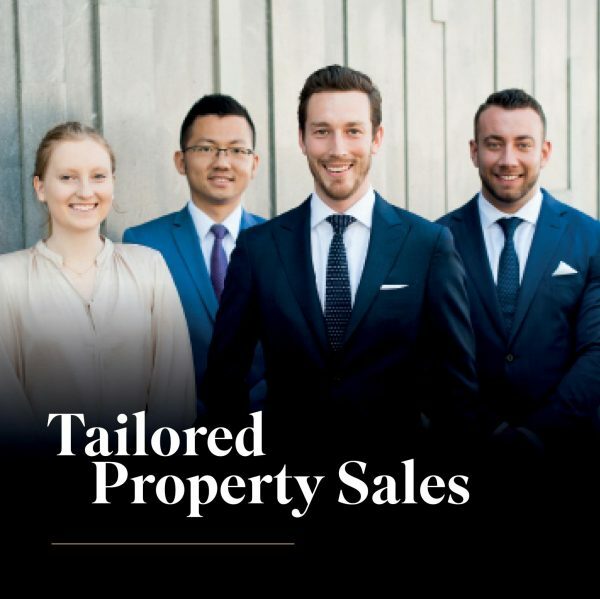 Having repeatedly delivered record results across Sydney’s Lower North Shore, our proven home sale strategies achieve enviable prices for local, expat and international clientele. Your property campaign will be unique and tailored specifically to your property and it's ideal buyer. You'll receive daily contact from me alongside a personalised level of service from my dynamic team.